Young , old, small, tall, squash is the sport for anyone. 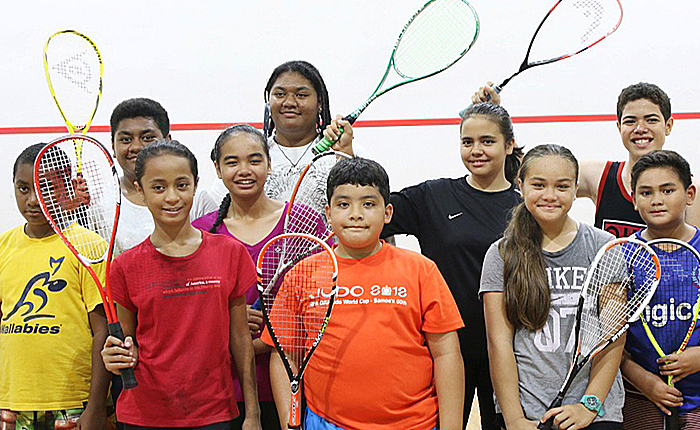 On Saturday, the Samoa Squash Rackets Association concluded their 3 –day tournament with prize giving, food and lots of fun. Squash is self funded and have been hosting monthly tournaments like this one sponsored by Bluebird Lumber & Hardware Co Ltd to raise funding to send players to overseas tournaments like the Fiji Open on October 24th. Next month, Squash will be hosting the end of the year tournament to prepare for the Samoa Games. Overall, the event was a success and looks forward to hosting many more successful events in the future. The squash community is open and welcomes anyone of any shape and size to join them at the gym in Tuanaimato.